The wave of AI and Chatbots, more off to flourish business scenario like never before. Staggering to note – business heavily investing in this technology. Moreover, the technology is not confined to a limited boundary, rather it’s upgrading to unfold innovation to make things easier and simple. This is the reason, entrepreneurs are inclining on the chatbots. Chatbots enable day to day operational execution easy and simpler. Chatbots are basically the online popups screens programmed for helping to navigate the customers through the required services via text. Chatbots can be used by business owners in limitless ways to execute different business processes like data processing, scheduling, language interpretations, computerized updates, system analysis, and alerts. Let’s have a brief discussion on what are the keynote that has made chatbots essential for entrepreneurs. Automation allows companies to focus on strategy and big picture work while the system processes the numbers and determines potential results of new ideas and strategies. Overall, businesses are best when humans work in a collaborative environment with artificial intelligence, allowing both sides to bring their unique skill sets to the table. AI chatbots can be seen as a tool for human enhancement than to see them as a tool which can replace the human being. AI Chatbots can help people to execute their entrepreneurial endeavors. With the automation work can be done easily, allowing focus on less of the busy work and human intervention on more of the substantial, important work. Chatbots have become a matter of tautness in certain industries. People look at them as the replacement of human workers in the coming future. A lot of people across certain industries feel that a squad of chatbots is marching towards them to take away with their jobs. That simply is not the case. The AI revolution is to help humans with smart work execution but not to replace. Chatbots will enable to free efficient human beings from doing monotonous jobs and enable them to invest their time in thinking to solve some critical problems. The big tech companies - Apple, Microsoft, Google, Amazon, - highly convinced by the way chatbot are interacting as service providers in the future. AI enabled software can be used to process a huge chunk of data and to find out any pattern or correlation among them. The results of these can be used to make a better decision in the business process. This enables the workers to depend on AI and chatbots and make use of it as a valuable tool. It is always good to make use of AI and chatbots to enhance the human capabilities. The collaboration of human and chatbots always results in a productive exercise. 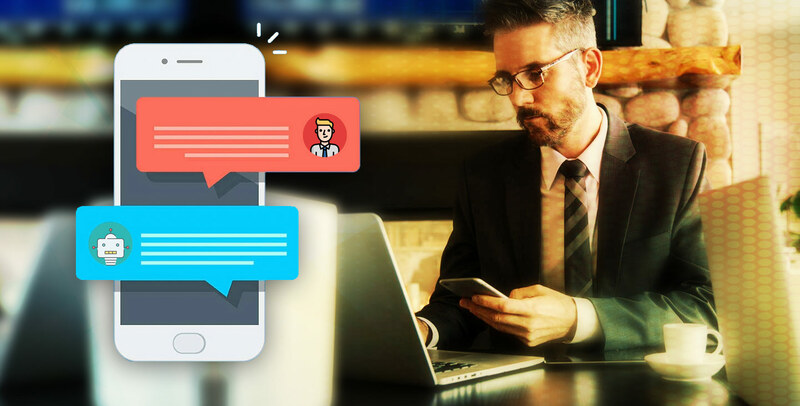 Many entrepreneurs are looking for competent and dynamic chatbot development services to flourish. With the intelligent programs, having unlimited access to data crunched by more powerful computers, there are enduring possibilities to learn from past mistakes, creating novel programs autonomously. For instance, just imagine, when the menial tasks will be automated, there will be ample time that can be utilized on more valuable activities, such better customer relationships or new products strategy and advanced services. With the automated services, work will no longer be ideal, rather it be more of a natural discussion, creating a interactive experience for the users. Another instance; For say, the generations of self-learning driverless cars can eventually function independently. But have you ever thought of the consequences? It might result that AI program chatbot can take biased judgments against employees. There are the chances that employers can evade their liabilities and blame the AI. This can be one of the reasons why firms will want to have a strong control over AI programs employed. AI programs are believed to be significant chums or power-mad dictators, one thing is for sure: It will have an intense effect on the world of work. To stay ahead of the competition, the Chatbot Development Companies should equip the team with the AI and machine learning support to enhance the capabilities. The collaboration of humans and AI showcase the perfect paragon of business leadership. AI is generating opportunities to benefit humanity in many industries vertical. And if you are looking for the chatbot development services, feel free to fill in the contact form given below!